Here it is — a point that seemed so distant a year ago — the final week of this 52-week exploration into the fertile soil of cultivating a satisfying life. I wouldn’t have missed a week, a day, a moment of it. As has happened a number of times during the year, I find myself reflecting on a yoga pose this week. This time it is the ‘king of the dance’ pose that drifts through my thoughts, although in my mind I refer to it as ‘the dance of life’. It’s a beautiful pose, full of air and space and curves, grace and strength. Aloft on one straight leg, the other curls out behind while the upper body extends forward. With one arm stretching forward with the torso, the other reaches back to grasp the ankle of the leg behind and a taut connection is established that creates shape and tension in the same way that a string shapes a bow. Every fiber in my body feels its own unique set of stresses and stretches, and each makes a significant contribution to the whole effort. Without each piece there is no balance, no extension counterbalanced. Body and mind, the concrete and the intangible, all unite and work together. In a few weeks, I’ll be celebrating the passage of six decades of my life. Approaching this landmark, I’ve become more aware, with that kind of certainty that affects everything, that life is finite. This unsettles me, but as I look back over the years, I see each phase of life has been generous with its own pertinent opportunities, and so I’m poking around to discover what lays in the phase I’m entering. Here and now, I see the chance to winnow away things that no longer matter, to clarify priorities, to focus on my intentions. Here and now is the opportunity to let the fibers of years’ worth of living unify and work together. Here and now is the gift of celebrating who we are. The Hindu mythology about Shiva, the King of the Dance, is that his ecstatic dance of destruction was what opened the universe up for creation. Amidst forces greater than he, such as the ongoing passage of time and the searing forces of chaos, he remained focused on his dance of bliss. It’s a study in contrasts. Of one thing giving way for another. Of opposites nestled within each other. Some days I tip and topple and can’t find my balance in this pose or outside it. Some days life knocks me flat. It’s not personal. It’s the way. If I’m lucky, I notice how I have been tempered by the flicker and flame of life, how some things have given way and others arisen. When I lean into this dance of life, I sense a world of wisdom. The leg stretched behind me reminds me of the ballast and stability provided by my past. With my chest lifted, I am open-hearted, welcoming the unknown future. And centered between both, my leg is planted on the very real ground of this moment. In this willingness to stand amidst both the fury and the pain, the ecstasy and the bliss, is the chance to live the gift of life and dance with it all. This entry was posted in Being Authentic, Leaning In, Wisdom and tagged Dr. Seuss, yoga. Bookmark the permalink. 8 Responses to Party On! 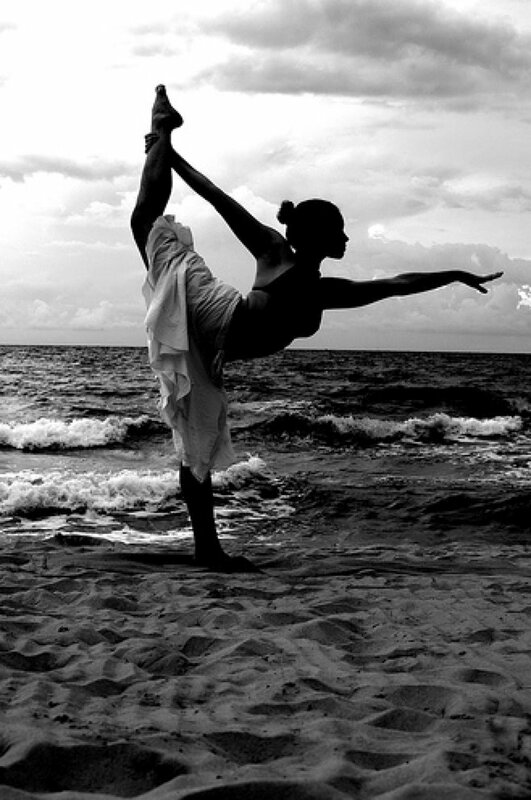 “Some days I tip and topple and can’t find my balance in this pose or outside it. Some days life knocks me flat. It’s not personal. It’s the way. If I’m lucky, I notice how I have been tempered by the flicker and flame of life, how some things have given way and others arisen.” Oh, that is so it, and gorgeously written. What an amazing thing you’ve done in this space, Lisa. Happy happy birthday in advance to you. Thank you for sharing so much so generously here. Jena, so sweet to hear your voice and reflect on the wonderful ways you have helped guide me to this place. Thank you for the birthday wishes and for all your dear and solid support throughout. with love! Hope you are having fun celebrating this amazing accomplishment!! Thank you, Kristan! I am enjoying this! g And looking forward to seeing you soon! I have been honored by your reading, Sandy, and the connections we share. Thank you! Here’s to all our dancing past and future! Love and hugs to you! What a wonderful accomplishment and a resource to look at. What caught my eye on the page (after reading, of course) was looking at the cloud of tags you’ve been using for the year – it seemed to be a lovely visual of what has been important to your year of exploration…all there in one great graphic. Great work and a real accomplishment! Oh what fun that you pointed out the tag cloud, Ann. I hadn’t looked at it and, yes!, it is a lovely visual of the year’s exploration. I’m so glad your wonderful artist’s eye noticed this. The year of posts is an accomplishment I’m really glad for. I appreciate your question the last time we met that suggested I will continue to understand how this has affected me in new ways as time passes. I sense the truth in that and smile. I’m also smiling about the good times in the decades behind us and ahead of us. much love!